go faster than expected. BC President Sonya Christian told me there was initially a 20-year plan to spend the money, but some of the college trustees (including Kay Meek and Bill Thomas) want a more aggressive building schedule. I think that's a good idea. Those of us who voted for the bond measure really don't want to wait two decades to see results. One of the first capital improvement plans, to build a Veterans Resource Center, was unveiled this week. 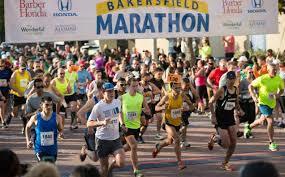 * ... MARATHON: So where will you be this Sunday when the Bakersfield Marathon rolls through town? If you are smart, you will review the marathon route, grab a cup of coffee (and your dog if you have one) and plant yourself in a shady spot to cheer on the runners. And hats off to the organizers of this event, which puts our community in a positive light. * ... SPOTTED ON TWITTER: "Woke up early so I could get in a few extra minutes of being angry on-line today." * ... OVERHEARD: A friend of mine, frustrated with a problem, said this: "When I have more than $500 in my bank account, I think about leaving and starting another life." * ... MUSIC CENTER: Social media lit up with frustration after the Board of Supervisors denied a proposal to build a music event center off Interstate 5 on land owned by Phil and Daniel Rudnick. Interestingly, the criticism seemed to come from all ages, borne out of a frustration that our ruling political class too often seems to find ways to say "no" to opportunities that other communities so routinely enjoy. The responses included this satirical one from local veteran Chad Garcia: "Welcome to Kern County! We have a train museum and an old boxcar that a country music legend lived in that you can visit. Oh! And a lot of bars filled with people who will fight you. And meth. A lot of meth." * ... MORE MUSIC: My take on the music festival proposal: Are our supervisors so comfortable in their own personal wealth and social position that they feel they can say no to projects that will provide jobs, paychecks and opportunities to so many in our community that live hand-to-mouth? Does the greater good ever trump objections from a few well heeled neighbors? * ... GOOD FORM: Roy Parks made my day when he sent me this message: "On Sunday (11/05) I went to an ATM at Bank of the Sierra's new branch on California Avenue. I later discovered I did not have my wallet. I returned to the ATM but my wallet was gone. Returning home I envisioned the nightmare of contacting credit cards, DMV, insurance, etc. My house has a mail slot that empties into a hallway. There was my wallet! A very kind and honest person had driven to my house and returned my wallet. I wish we could have met. Another tale of good people in Bakersfield." * ... BLACK WIDOWS: Bill Casey worked for a pest control company and knows something about the infestation of black widow spiders. Said Casey: "I have never seen them this bad before. I usually do night patrol in the summer, twice a month, and then once a month in September, October. I had to double my attacks this year. 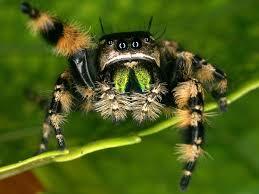 I must have killed 200 black widows this summer. Three made it into the house, but must have gotten into my spray area outside before getting in, and were sick or dead when I found them. With cooler temperatures they try to come inside where it's warm, and this can be a dangerous time for families with children. It's a good idea to check in dark areas, closets and under furniture for them."